Part of me seems to identify as a tween, it seems. I have read and adored the Harry Potter series (twice! ), the Hunger Games novels and the Lunar Chronicles. Almost to dare myself, this week I sampled the first book of perhaps the tweeniest series of them all: Twilight, the story of how 17-year-old Bella met and fell in love with her soulmate, century-old teenager Edward the vampire. The increasing convenience of audiobooks and career choices that put me behind the wheel of a vehicle for long periods are partly responsible for my reading 84 (!) books during 2018. Since I started tracking my reading in 1994, I had averaged as many as one book a week only once, in 2012 when I read a short book on Dec. 31 so I could hit 52 books for that year. But my trusty iPhone and the Overdrive app (thanks Wisconsin Public Library Consortium) pushed me to 66 books in 2017 and this year’s total. My Kindle also got a good workout, and I even perused an even dozen good old dead-tree editions. The first book I’ve read that was recommended by Haunted Bookshop owner Roger Mifflin, Men in War by Andreas Latzko is a scream of rage and unimaginable pain, a primal scream against the inhumanity that Latzko endured as a soldier of Austria-Hungary on the River Isonzo front against Italy in 1916. If I didn’t understand what men in war have been through, now I have an inkling. The book is a powerful, life-changing experience that I must force myself to read again soon. Men in War is a novel with six chapters, more accurately described as six short stories, linked mainly by the front and by the unrelenting despair and senselessness of the situation. This is a book that should shake the reader to the core. No wonder the Hitler regime had it burned – it exposes far too much of what the war machine is all about. “My Comrade (A Diary),” the fourth chapter, is a bomb – a rant of common sense from a man diagnosed as mentally ill because he carries the memories of the men he has seen destroyed by war and he cannot fathom the insanity that did them such harm. It’s a clear peek behind the haunted eyes of those who have seen the same: We see that such memories cannot possibly be compartmentalized or tucked away forgotten. I would guess they can only be endured a best as one can. Latzko wrote Men in War (Menschen im Krieg) during his rehabilitation from physical and psychic injuries sustained during his service; he served on the Isonzo front during 1916, suffering malaria and then severe shock from a heavy Italian artillery barrage. After eight months in the hospital, he moved to Davos, Switzerland, for further recuperation and rehab, where he wrote the book in 1917. This is the book that Christopher Morley, through Mifflin, says “was so damned true that the government suppressed it.” One prays Latzko got some relief by letting the words pour out of his fingers. He does a service to humanity by sharing the inhumanity he witnessed and by letting us see and feel the damage done to his heart and soul. Here is a link to the book at Project Gutenberg. It’s been a long time since I was as charmed by a reading experience as I was by Christopher Morley’s The Haunted Bookshop. Released in 1919, this book is filled (through bookseller Roger Mifflin) with Morley’s passionate hope that the lessons from the recently completed Great Was would be learned and that humanity would never turn to such senseless brutality to solve its differences again. Seen through the lens of nearly 100 more years of history, Mifflin seems a trifle naive, especially when he puts his faith in Woodrow Wilson, who is about to embark on a peace conference, but Morley also inject elements that suggest he, too, knows that peace is an elusive goal. The Haunted Bookshop is a wondrous ode to books and literature. a tremendous manifesto against the silliness and futility of war, and an adequate little mystery and love story. There are dozens of good suggestions for future reading and plenty of sound philosophy and observations about life, living, and what the weary world had just experienced. I finished this book reluctantly, wanting the story to continue and wishing to have more of the loquacious Roger Mifflin – the good news is there is one previous book in Morley’s quiver about the bookseller who so loved books and peace. Morley peppers the book with references to other 1919-era books, some familiar to me and many not, so I could spend quite a bit of time tracking them down and seeing for myself what delighted Morley/Mifflin so. I can’t recommend The Haunted Bookshop enthusiastically enough. I’ve been tracking the books I’ve read since 1994, and no year in this recorded history have I read as many as the 66 books that I devoured in 2017. Michael Connelly accounted for 21 of those books, and my re-immersion into audiobooks (with a new 45-mile commute starting in March) is responsible for 44 of them. I became addicted to Connelly after deciding to sample his work after falling in love with the Amazon TV show Bosch, based on Connelly’s detective hero Harry Bosch. The books are as binge-worthy as the show, and the latest, Two Kinds of Truth, may be the best yet. I also discovered Craig Johnson’s series of mysteries about Wyoming sheriff Walt Longmire, and for essentially the same reason: I thoroughly enjoyed the Longmire TV show on Netflix and wanted more. The best thing is that Johnson’s regular reader, actor George Guidall, embodies Walt Longmire even better than Robert Taylor does on screen, so the novels I’ve “read” (the first five of 13 so far) have been a delight. The last book I “read” in 2017 was Laura Hillenbrand’s page-turner biography, Unbroken: A World War II Story of Survival, Resilience and Redemption. I don’t read many biographies, but I was taken by Hillenbrand’s earlier book Seabiscuit and heard good things about this one. Her story of Louis Zamperini – who carried the Olympic torch in 1990 through a town not far from the Japanese prisoner of war camp where he lived a hellacious existence for nearly two years – is as good as it gets. Zamperini lived a remarkable 97-year life that saw him compete in the Olympics, survive 47 days in a liferaft on the Pacific Ocean after a bomber crash, struggle through the POW experience and post-war alcoholism, and emerge to find a way to forgive his tormentors. Hillenbrand’s prose more than does justice to an uncommon man. I don’t keep track of the movies or TV shows I’ve watched (there are too many), but I do know my favorite movie theater experience of 2017 was also the last one: Star Wars VIII: The Last Jedi. This film starring Mark Hamill as Luke Skywalker was the most fun I’ve had in that long-ago, far-away galaxy since 1980 and The Empire Strikes Back. Writer-director Rian Johnson filled the story with surprises, some more breathtaking than others, and we had a ball. This is just me, but you should know that back in the 1970s and early ’80s I watched the first three Star Wars films six to eight times each on the big screen. I even watched the much-maligned prequels of 15-20 years ago multiple times in the theater. The 2015 revival film, Star Wars VII: The Force Awakens, was tremendous, yet I didn’t watch it a second time until a couple of weeks ago. It was great, but it didn’t draw my inner geek back for repeats. As this latest film reached its climax, however, I felt that old familiar tug of wanting to get back in line for another ride on the roller coaster. I wholly recommend Unbroken to people who love a great book and Star Wars VIII: The Last Jedi to people who love a great space opera. I know some people think Johnson took too many liberties with what they consider the Star Wars canon, but I don’t agree in the slightest. Last Jedi is a rousing flick that adds a small handful of exclamation points to the legend. 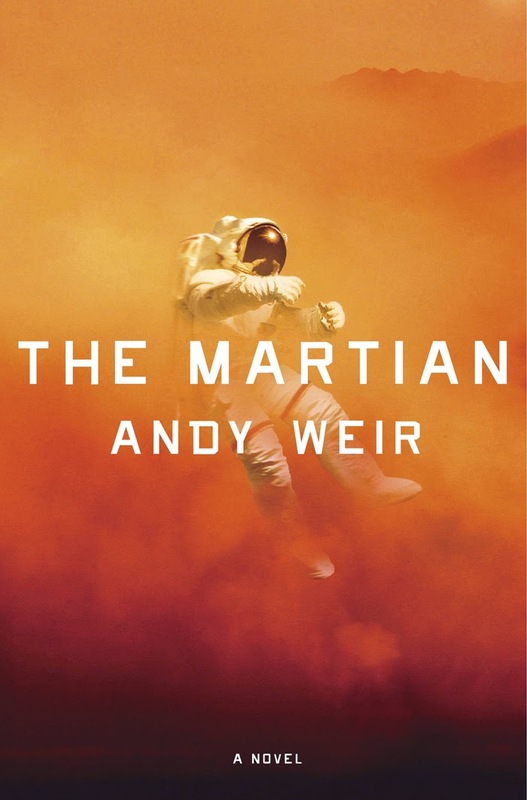 “Cast Away meets Apollo 13” is how more than one reviewer describes Andy Weir’s compelling page-turner The Martian. In a world where everything needs to be a reference to something else, I suppose that description works as well as any.The plot of the book does indeed contain elements that will remind the reader of both movies, although Mark Watney never befriends a volleyball. This is a great novel that takes readers to the real Mars — as real a Mars as contemporary science can speculate — and never lets up until the story reaches its powerful conclusion. It began as a laugh among friends. It has evolved into a nine-novella epic with the promise of two more epics to come. 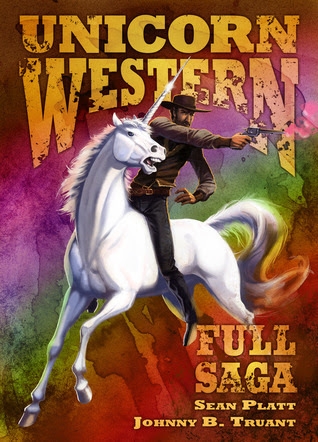 The story of how Unicorn Western came to be is almost as much fun as the actual story. Sean Platt and Johnny B. Truant are two-thirds of a podcasting team that meets weekly to talk about writing and self-publishing. One day the other third, David W. Wright, took exception to Platt’s stated desire to write a western someday. Too much trouble, too much research needed to make it authentic – for example, do you know what color was the smoke from those old six-shooters? Hilarity ensued. A few short months later, the joke is a series of novellas available as ebooks separately or in ebook and print as Unicorn Western: Full Saga – a sprawling tale of magic and prairie justice that spans decades and pays homage to at least nine films along the way. (Because I need an occasional break from electronic screens, I opted for the 690-page book.) There are plenty of in-jokes and winks that will bring a knowing smile or a laugh-out-loud to people familiar with the films and The Self-Publishing Podcast – my favorites are the prophetic owls – but the story creates a mythology all its own and stands up as a rousing yarn despite its goofy origins. This is not Atlas Shrugged or even Lord of the Rings – the main thing it has in common with those works of literature is its length – but the payoff is definitely worth the long ride; the authors entertain and make you care along the way. Unicorn Western is the reader’s equivalent of a summer blockbuster movie, well worth the time invested and leaving you with anticipation of the sequel(s).